The University Medical Center Groningen (UMCG) was established in 2005 as a joint activity of the University of Groningen and the Academic Hospital Groningen (AZG). At present, the UMCG is one of the largest hospitals in the Netherlands and the largest employer in the Northern Netherlands. More than 10,000 employees provide patient care, are involved in medical education, and perform cutting-edge scientific research. Research and education at the UMCG are funded through the University of Groningen, and the Faculty of Medical Sciences functions as an integral part of the University. 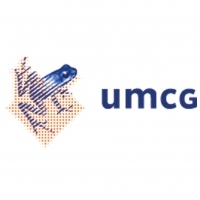 Generating new knowledge that will be of benefit in the lives of our patients is an important commitment of the University Center of Psychiatry (UCP) which is part of the UMCG. The UCP research program focuses on underlying mechanisms of psychopathology examined with epidemiological, clinical (patient-oriented) and fundamental studies. The obtained knowledge is used to develop interventions to prevent the onset of psychiatric disorders and to improve treatment. The UCP employs a total of 9 leading professors, 16 senior researchers, 13 postdocs, about 130 PhD candidates and many students (medicine, psychology, biomedical sciences a.o.). One of the major research themes is somatic symptom disorder. Several clinical studies are performed together with mental health providers in the Northern region of the Netherlands, facilitated by the Rob Giel Research Center. This center is a collaboration of seven mental health care organizations and the university department, which has created an infrastructure for health (care) research in the three northern provinces. The aim of the center is to stimulate and combine scientific research in the northern mental health organizations to improve treatment of psychiatric patients. The emphasis lies on longitudinal, controlled studies, which focus on (cost) effectiveness and consequences of health interventions. The UCP collaborates with the Department of General practice, which is connected to almost 300 general practitioners in the northern part of the Netherlands via the General Practitioners Academic Education and Research Network. The eHealth system Master Your Symptoms was developed to support care for somatic symptom disorder (SSD). The system was co-created using input from a large group of professionals and patients. Master Your Symptoms consists of different modules aimed at mild, moderate or severe SSD, enabling matched care following the guidelines. The current project concerns the Master Your Symptoms self-management (MYSelf) module for mild SSD. This module is developed for use in primary care with the aim to empower self-management of patients with mild SSD. Within MYSelf, patients fill out several online questionnaires concerning their symptoms and possible triggers, consequences, and maintaining factors. Based on the results of the questionnaires, patients will receive personalised, concrete exercises and assignments to improve self-management. Examples are patient education, relaxation, identifying and challenging dysfunctional cognitions, graduate exposure to feared activities, and managing the impact of symptoms on work or relationships. The intervention is guided by a mental health worker, associated with the general practice. Denise is a registered mental health psychologist experienced in the treatment of SSD. She was the coordinator of the OPUS study, which was focused on SSD in later life. Her thesis was based on both quantitative and qualitative data from the OPUS study. Judith is professor of Psychosomatic Medicine, and in the charge of the development, testing, and implementation of the Master Your Symptoms system in the Netherlands. She has a background in medical biology and psychology, which she combines in her research focusing on the etiology and treatment of SSD.